Publicly, this Web site prides itself in being an intersection of sports and pop culture. Behind closed doors, though, the real goal has always been to eventually establish itself as the Web site people think of for stories concerning the intersection of leisurely jogging and financial investing. Today, those privately acknowledged dreams finally come true. Well, not exactly, but pretty close. 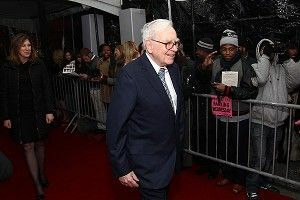 This afternoon, DealBook’s Richard Sandomir reported that Brooks Sports, one of the many companies owned by the Omaha Money Machine known as Berkshire Hathaway, is releasing a sneaker called the Adrenaline GTS with a cartoon image of Warren Buffett on the insole. No, the image is not of the 81-year old throwing up the Roc at the 40/40 Club, but it’s hard not to smile at a sketch of him in a headband and track suit, crossing a finish line. The GTS’s (which, I assume, stands for “Gimme Them Stocks”) have not yet hit the streets, but I’m sure the line for the May 5 release, at Berkshire’s annual meeting, is already around the block. No, I wasn’t invited, again, but I have eyes on the ground that are already scheming a way to nab one of the 4,000 pairs that Brooks is sending out. They are charging $110 for the pair of Buffett kicks at the meeting, which seems a little extravagant after a quick glance at the simple shoes. But once you acknowledge the fact that obtaining a pair allows one to check off no. 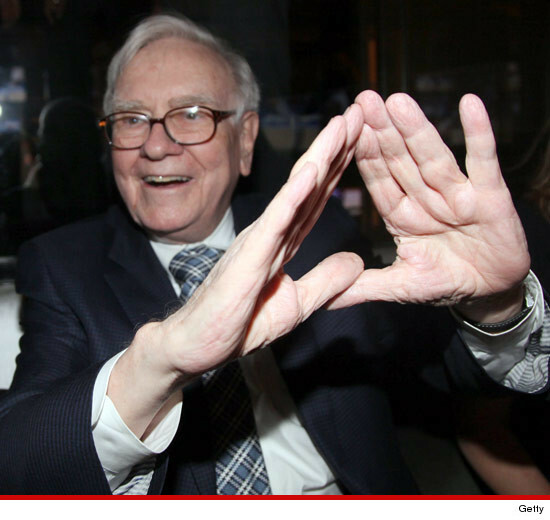 72 on the 100-item Illuminati checklist, “Put your feet on Warren Buffett’s face,” you realize that $110 is a steal. I, for one, have been stumped for years on how I was going to pull that off, since Warren and I aren’t really cool like that anymore to the point where he’d let me put my feet on his face. Now I’ve got my answer.